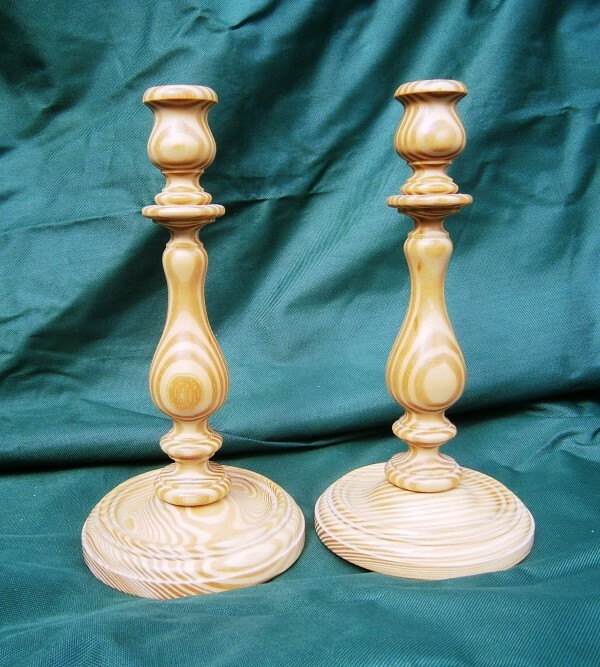 This is a pair of hand turned candle sticks in striking Southern Yellow Pine,they are of a traditional type of pattern.Candle sticks can be made in any timber they will have a brass bezel where the candle is inserted for safety and appearance. They will enhance any dinner table or mantle place.Any pattern of candlestick can be made into table lights to a very similar pattern and of course wired and PAT tested, please enquire for the added cost for tablelights. A pair of hand turned candle sticks in Southern Yellow Pine. The pair above is sold but a similar pair made to order would have a dispatch time of ten days from purchase. 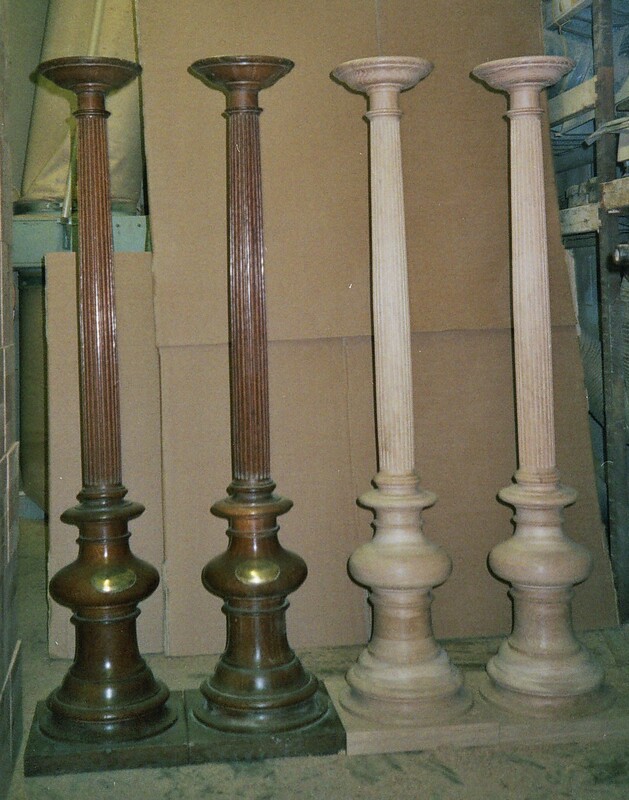 One pair of wooden candlesticks in Sapele £80 carriage is in addition. One pair of Oak candlesticks £80 carriage is in addition. A pair of miniature wooden turned candle sticks hand turned by Phil Jones professional wood turner. 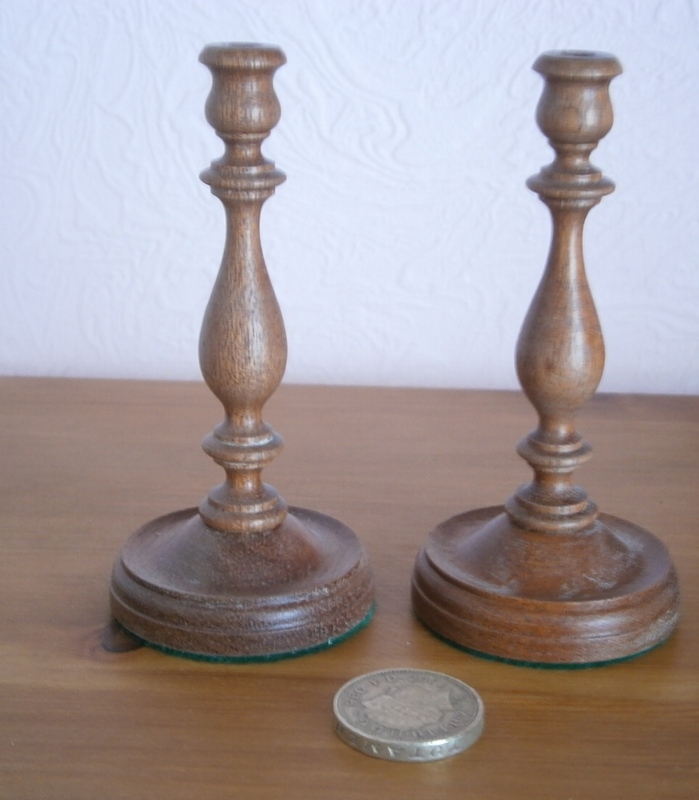 One pair of Sapele Miniature candlesticks £28 Uk delivery only. These Ash open barley twists are a pair Phil made, for pleasure of the art & craft of hand twisting.Hand twisting is a very labour intensive procedure as the twists are a carved and then sanded by hand. 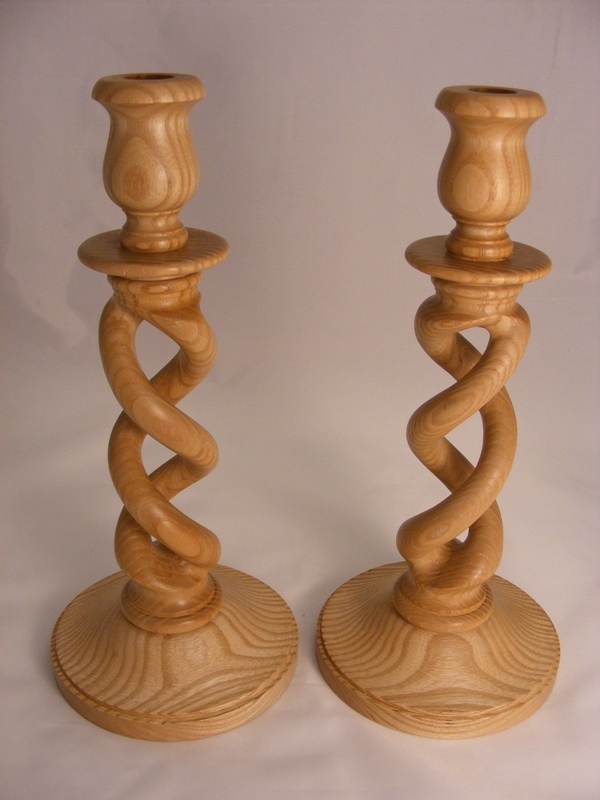 A pair of Ash open barley twist candle sticks hand turned by Phil Jones professional wood turner. Two pairs of ecclesiastical candles ,The darker pair are the originals ,They stand approximately an impressive 5ft or 1.5m The new candle sticks were made for Essendon church. Two pairs of ecclesiastical candles for Essendon church originals and new.The new pair was hand turned by Phil Jones professional wood turner. This Paschal candle stick is a smaller version of the Essendon church candles and stands at approximately 2ft or 600mm.Note the tape measure in the fore ground for scale. A smaller version of the pair of candle sticks turned for Essendon church hand turned by Phil Jones professional wood turner.